Here is a another example of the CNC program codes supported by rt-stepper. 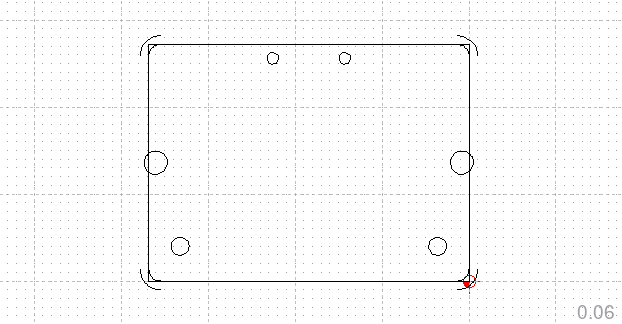 I use the cutout.nc gcode file to cut out the PCB dongle. If you look at the comment fields inside the cutout.nc file you will see in-line code or canned cycles for six mounting holes, a rectangle and four arcs. All cuts are done with one 1/16 inch end mill, no tool changes.